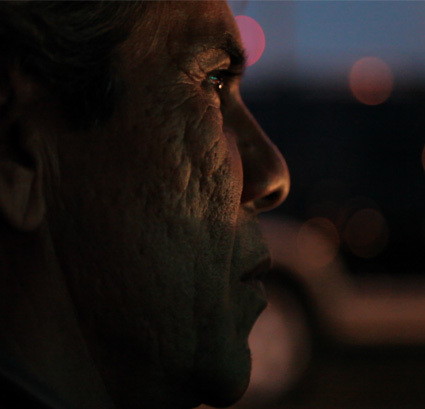 Reportero follows a veteran reporter and his colleagues at ZETA, a Tijuana-based muckraking weekly, as they stubbornly ply their trade in what has become one of the deadliest places in the world to be a journalist. In Mexico, more than 40 journalists have been murdered or have gone missing since December 2006, when President Felipe Calderón Hinojosa came to power and launched a government offensive against the country’s powerful drug cartels and organized crime groups. Bernardo is the writer and director/producer of American Experience: Roberto Clemente (PBS, 2008). The broadcast documentary was awarded the Alma Award for Outstanding Made Television Documentary. He is the co-producer of The Sixth Section (P.O.V., 2003) winner of the shot documentary prize at the 2003 Morelia International Film Festival in Mexico. As a director/producer for hire he has directed programs for PBS, MTV, the Discovery Networks, Travel Channel, Planet Green and the National Geographic Channel. He is the recipient of a New York Foundation on the Arts fellowship in film and his work has been supported by grants from the Ford Foundation, Sundance, Cinereach and ITVS, among others. Patricia has managed commercial and documentary productions in the U.S., Mexico, Puerto Rico and Spain. She began her documentary career at WITNESS, and in 2009 served as Coordinating Producer on An Invitation to World Literature, a 13-part series on world literature for WGBH and Annenberg Media. Patricia holds a BA in Comperative Literature and Latin American Studies from NYU, and an MA in screenwriting from Escuela TAI in Madrid, Spain.